The closest location for conference attendees to stay is either the Holiday Inn University of Memphis or Fogelman Executive Center which is conveniently located on campus and is a staircase away from the Musculoskeletal New Ventures Forum. Rooms are available for attendees. Please mention “Musculoskeletal New Ventures Conference” when booking your room. 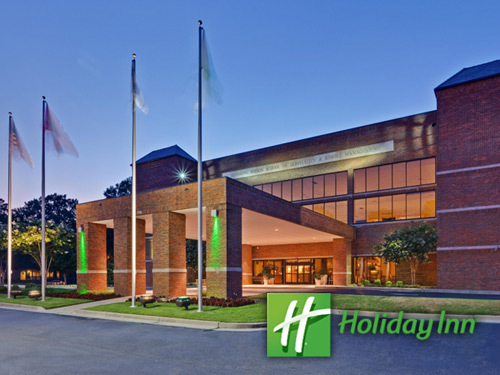 For Holiday Inn reservations, call direct at 901-678-8200 or online at www.holidayinn.com/mem-uofm. Use the booking code “MNV” to reserve on or before September 17, 2019. Please e-mail aschuler@memphisbioworks.org if you have any trouble making reservations. If you are seeking to experience Memphis – the “Home of the Blues” & the birthplace of Rock’n Roll – The Westin Memphis Beale Street will be the perfect hotel for you. 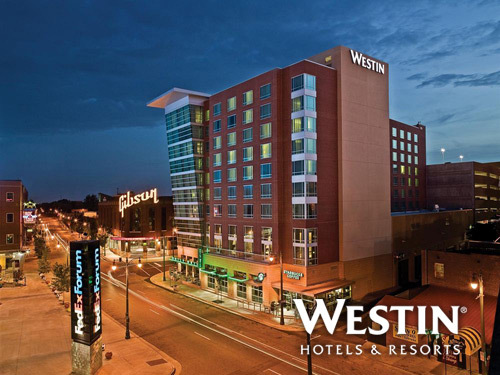 The Westin is located just steps from historic Beale Street and only two blocks away from our Riverside Reception that will take place on Tuesday night. For Westin Memphis Beale Street reservations, please call 1-800-937-8461. Use booking code “Memphis Bioworks Group Block” when booking your room on or before September 28, 2019. MUST reserve on or before September 28, 2019 to get the discounted rate. Within walking distance from iconic Beale Street, the landmark Peabody Hotel is known as the “South’s Grand Hotel” with its grand, marble-columned lobby. It was 1933 when ducks were originally placed in the hotel’s lobby fountain, setting in motion an 80-year tradition that continues today with the March of the Peabody Ducks. The Mixer that is held on Monday night is located at The Corner Bar inside the Peabody lobby. 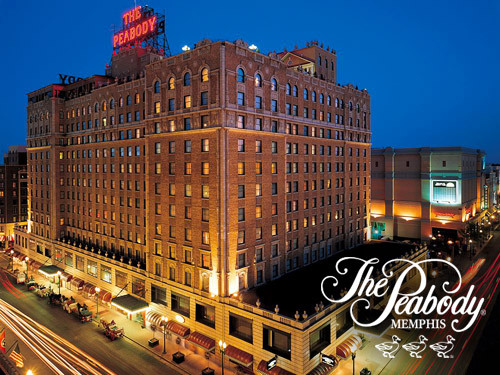 For The Peabody Memphis reservations, please call 1-800-Peabody and ask for the “Memphis Bio-Works Negotiated rate.” Must book soon due to limited availability. MUST reserve before September 17, 2019 to get the discounted rate. We offer a Shuttle Service between the hotels and all of the venues. Click here to learn more about our Shuttle Service.